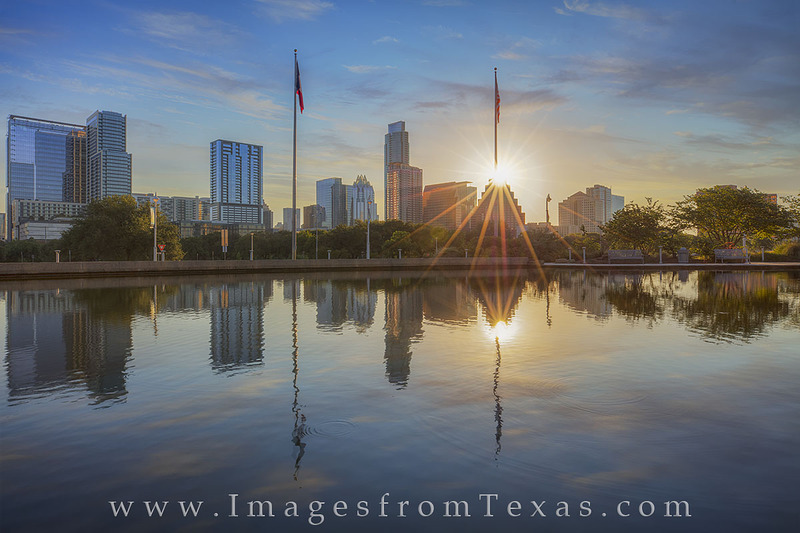 The Austin skyline is reflected in the pool next to the Long Center on a beautiful May morning. The winds were calm and the sky was amazing as the sun peaked above the downtown high rises in the distance. Photo © copyright by Rob Greebon.